Hundreds of carved figures dot the sandstone cliffs at the White Mountain Petroglyph site in Wyoming’s Red Desert. As one of Wyoming’s premier rock art sites, the White Mountain Petroglyphs should be a stop on any tour of southwestern Wyoming. 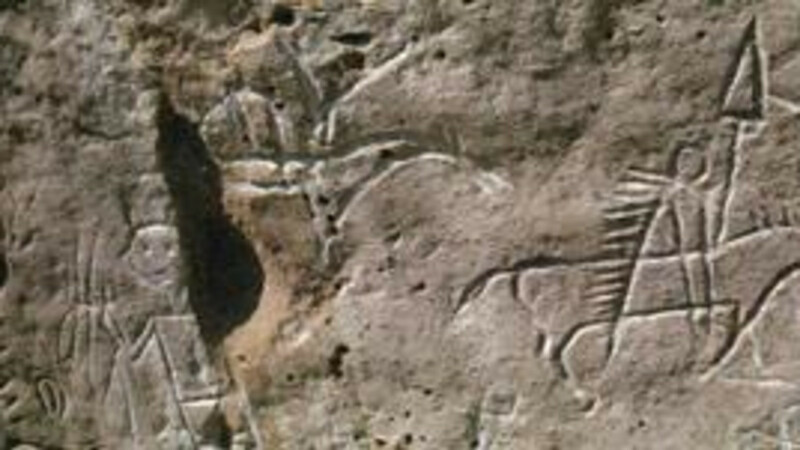 Etched into the stone surface some 200 to 1,000 years ago, several figures appear to portray bison and elk hunts while others depict geometric forms or tiny footprints. Handprints are worn into the rock as well, providing visitors with a compelling connection to those who used the site long ago.